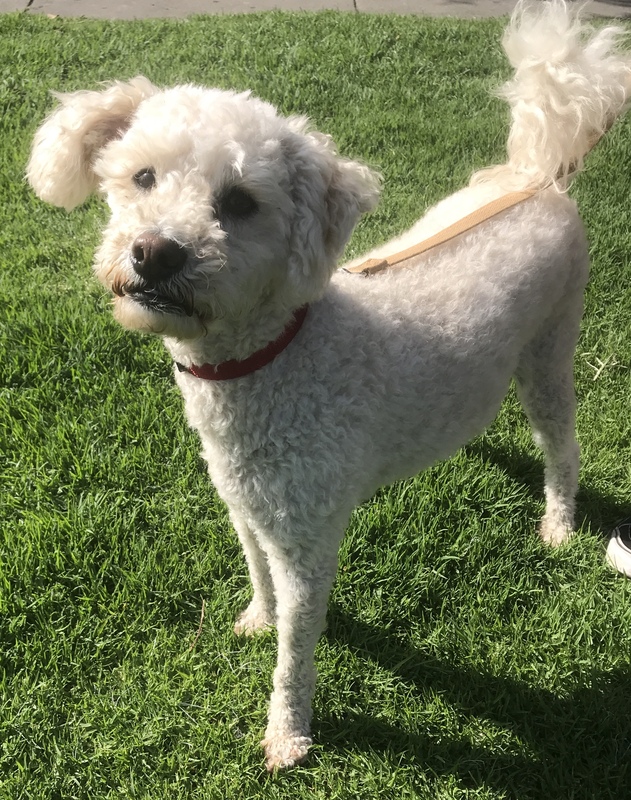 3 years White Poodle mix "What’s it all about, Alfie?” It’s all about finding a forever family who will love and care for him and; in return, he will give them unconditional love and everlasting loyalty. 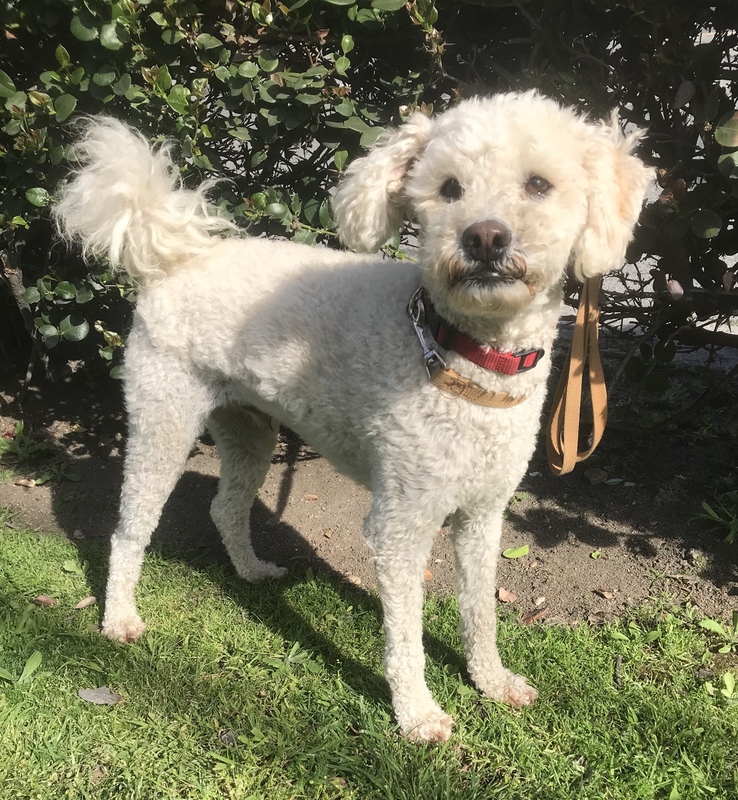 Alfie is hoping for a happy life filled with long walks, afternoon snuggles, play dates, yummy treats, lots of toys, doggie kisses, and a soft bed in which to snooze. Alfie knows to let his “heart lead the way, and he’ll find love any day.” At 21 pounds, this sweet boy is neutered, microchipped, and current on his vaccines. 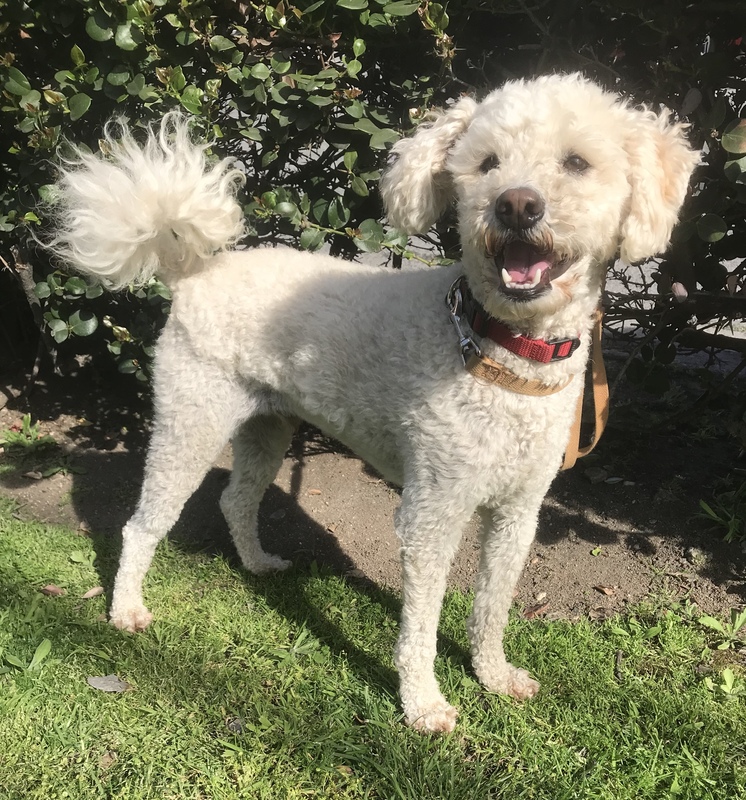 Let your heart lead the way and find true love with Alfie.